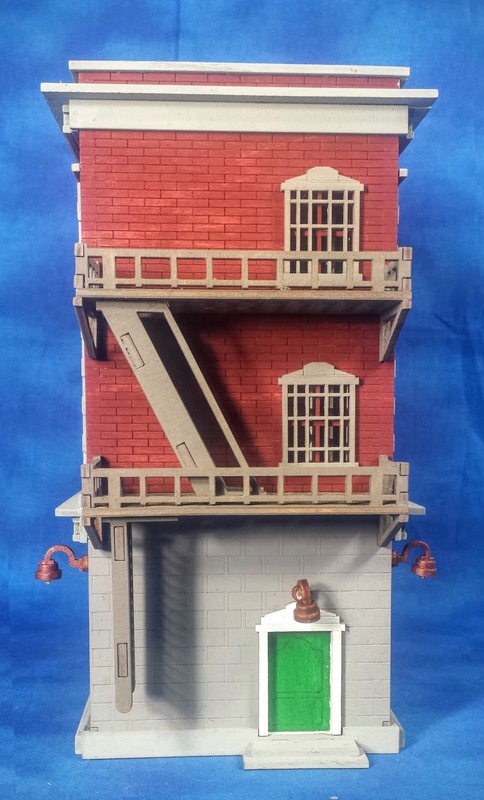 There's definitely something strange in this neighborhood! 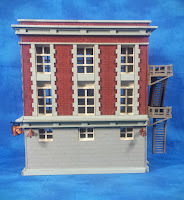 Get ready to bust some ghosts at the Firehouse Headquarters! 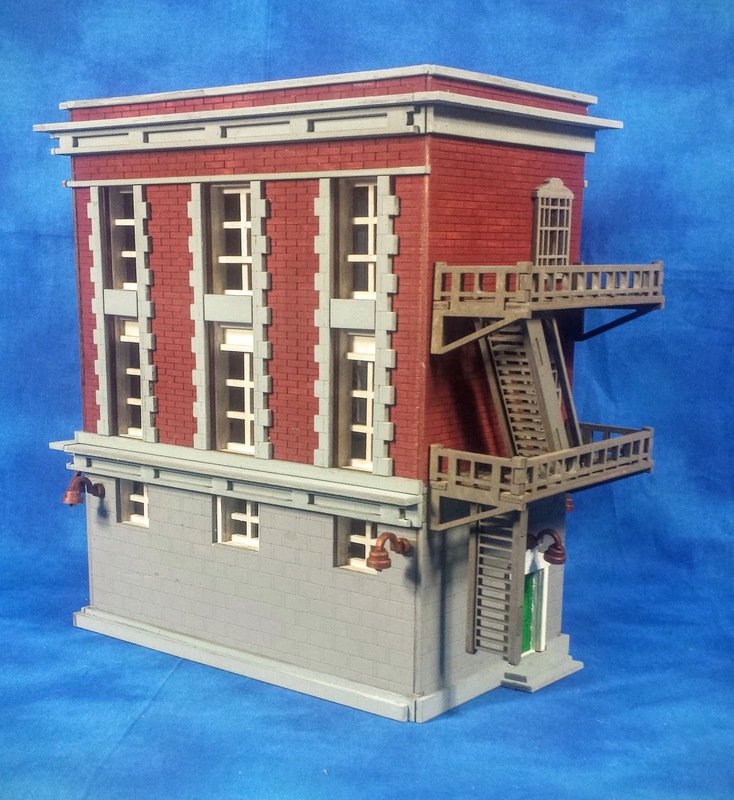 Recreate iconic Ghostbusters scenes with the 3-story Firehouse Headquarters. 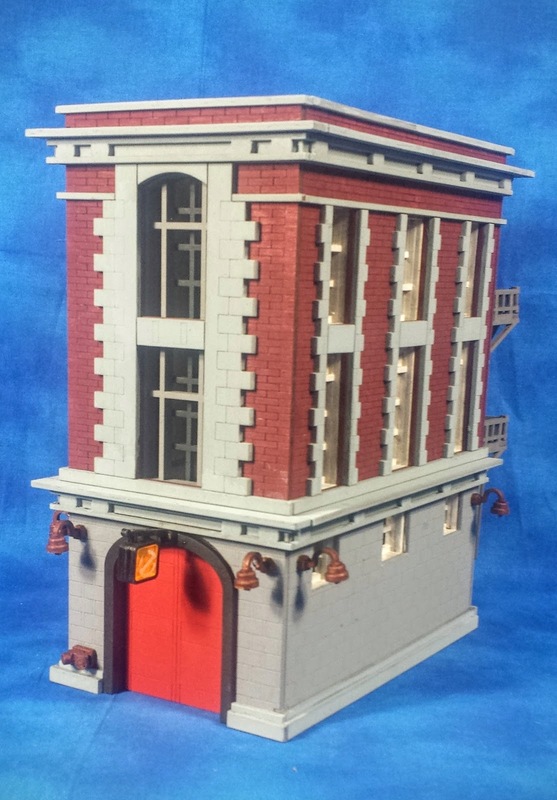 The firehouse is modeled after the one in the 1984 Ghostbusters movie is a fun tribute to the film and brings a high level of detail to the table. 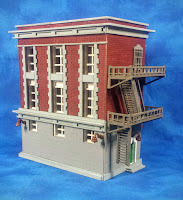 With its large, deep windows on 3 sides setting up some great game potentials moves and a fully modeled fire escape with roof ladder in back, this is a excellent starter piece. 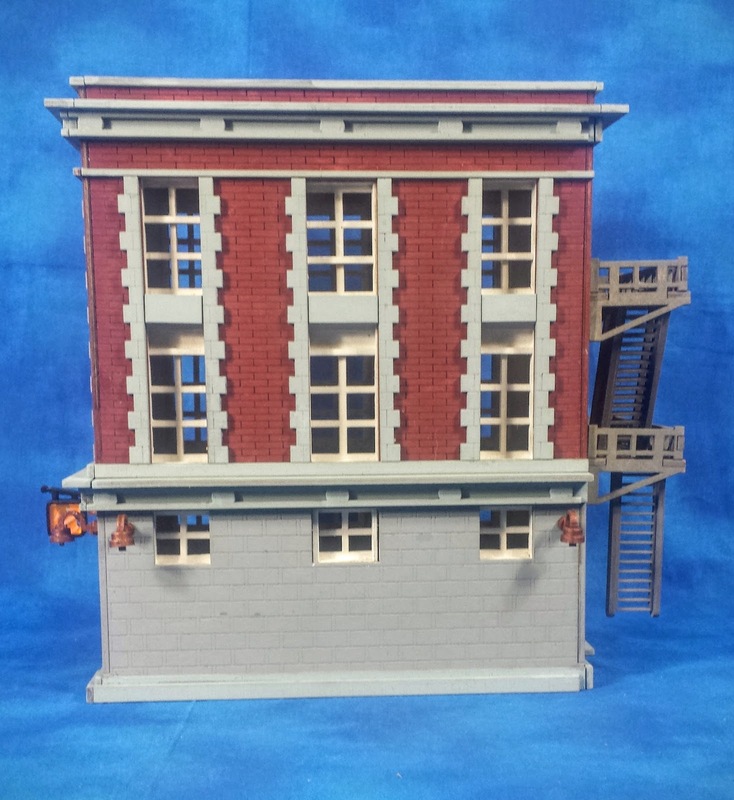 It includes extra details like external wall sconces and fire hose connections on the outside. 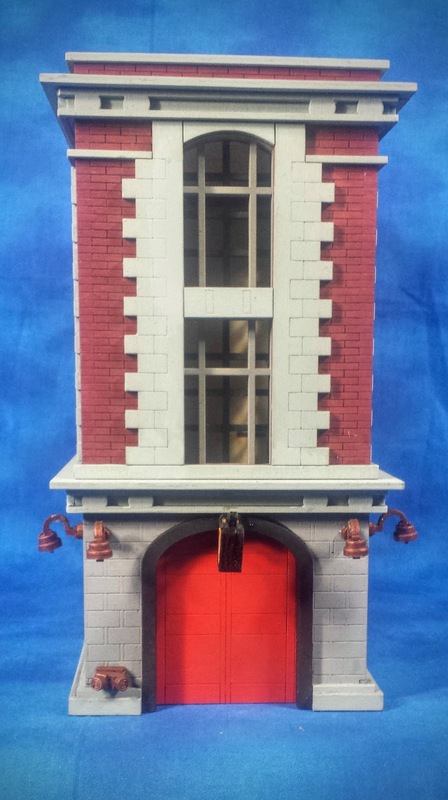 The kit can be modeled with the doors open or closed as needed.